We’d love your help. Let us know what’s wrong with this preview of Under My Skin by Zoe Markham. Chloe was once a normal girl with a normal family until the night of a horrific crash that claimed Chloe's mother's life and almost her own. Chloe's father is a scientist and with the help of his experimenting he has managed to keep Chloe alive but the two have to go into hiding while her father works out his cure. Under My Skin got off to a bit of a slow start for me as you jump right into the story of Chloe and her father moving to hide but you don't really know yet what or why it's happened. Chloe was once a normal girl with a normal family until the night of a horrific crash that claimed Chloe's mother's life and almost her own. Chloe's father is a scientist and with the help of his experimenting he has managed to keep Chloe alive but the two have to go into hiding while her father works out his cure. Under My Skin got off to a bit of a slow start for me as you jump right into the story of Chloe and her father moving to hide but you don't really know yet what or why it's happened. A good portion of the beginning of the read is Chloe being alone in a new environment and coming to terms with what had happened to her so for me that was a bit of curiousness to the plot mixed with a bit of boredom waiting for more. Once the story got moving a bit more and giving hints at what was going on it became a lot more engaging. Chloe just wants to be normal and tries her best to achieve that all the while the underlying aftermath of the accident is waiting to catch up keeping a reader in suspense. In the end I decided to give this read 3.5 stars overall. It was a bit of a tough one to rate as I did think it took me a bit to get in to the read but after I did I flew right through it. But after finishing I think the whole story line could have been a bit more fleshed out. I think for me there were still some things I just would have liked to know more about to rate this a bit higher. Overall, 3.5 stars, fast paced read but left me wanting a bit more in terms of answers given to the reader along the way, interesting plot though that grabbed my attention. A brilliant story this - addictive,dark, compelling and very clever, I read it fast one of those books that hooks you in and won't let go. This is an intelligent re-imagining of A brilliant story this - addictive,dark, compelling and very clever, I read it fast one of those books that hooks you in and won't let go. This is an intelligent re-imagining of a classic tale, written for young adults - on that score it is terribly terrific, a hook into the original literature but given a modern twist and a different focus which works really really well. Throw in a romance angle, a thriller angle and a low key mystery element and you have a perfect storm. Chloe tells the tale - hiding out from the government and forced into isolation, a nightmare life which as she slowly recovers she determines to change. As she takes baby steps back into the world of school, friends and growing up she throws caution to the wind - a decision which may come back to haunt her. Chloe is an astute, well drawn character who it is easy to get behind - as her story unfolds it is absolutely gripping and enthralling. Slowly but surely we get to understand what has happened to her, the author doing a great job of uncovering the truth a piece at a time whilst allowing Chloe to expand her own world and experience. It is quite scary in places, always utterly riveting, very sad sometimes and I was immersed throughout in the twilight world that this girl inhabits. Elegantly constructed and so very readable, the ending had me on the edge of my seat - I was very impressed by how Zoe Markham managed to write a coming of age tale in which the tension ramps up slowly and inexorably, leading towards an exciting and adrenalin fuelled conclusion. Very cool indeed. There are reasons why there has been an explosion in the popularity of Young Adult novels recently both for the target market and for the more mature reader. This novel is one of them - a little gem of a tale and it comes highly recommended from me. 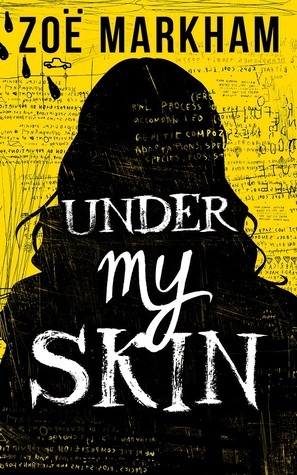 ‘Inside we are all monsters …’ is the tagline of Zoë Markham’s debut novel, Under My Skin. But as the superb opening chapters leak tiny morsels of information, we see that it’s what’s on the outside that is forcing seventeen-year-old Chloe to cower in her new house, the heaters on full, the blinds tightly shut. Under My Skin is a loose re-imagining of Frankenstein. Markham has taken the classic story – itself a groundbreaking tale of scientific caution – and reworked it into a contemporary young- ‘Inside we are all monsters …’ is the tagline of Zoë Markham’s debut novel, Under My Skin. But as the superb opening chapters leak tiny morsels of information, we see that it’s what’s on the outside that is forcing seventeen-year-old Chloe to cower in her new house, the heaters on full, the blinds tightly shut. Under My Skin is a loose re-imagining of Frankenstein. Markham has taken the classic story – itself a groundbreaking tale of scientific caution – and reworked it into a contemporary young-adult thriller, heavy on elements of romance and suspense. The result is the story of a young girl, killed in a car crash along with her mother, brought back to life by her brilliant scientist father. The process has changed her though, and left her with a strange body and a ravenous need for protein. No feasting on the flesh of the living however, a big plate of bacon rashers or succulent chicken breast will do the job nicely. As Chloe's father works secretly to secure her long-term future at the local hospital, Chloe begins to tire of her isolation. She wants to get out of the house and do normal teenage things and this is where the book steps up a gear. As Chloe re-enters the real world suspicion creeps in (there are bad people after such a scientific marvel), but so too do normal teenage girl concerns like boys and fitting in. Unfortunately, I found this read to be a tough one. Slow moving and at times it felt like it was just all over the place. It did pick up halfway through the book but this just wasn't meant for me. Chloe feels like she shouldn't exist; she's an abomination, a freak of nature. After the accident, her dad had to do some experimentation on her to bring her back to life. He's a scientist that used to work for a secret government organization on a project regarding an undead army; now he broke the rules and they're on the run. Chloe has to stay hidden while her dad works on finding how to synthesize three compounds for a daily vaccine she has to inject to stay alive. But what is the point in being alive if she's not actually living? The character development in this book is pretty impressive. Chloe is a fragile broken girl, prisoner of a cottage in the middle of nowhere and tormented by nightmares and afraid of her own thoughts; however, after days, weeks and months in hiding, she realize that the kind of life she's leading will end up pretty much with her going insane. So she starts taking these tiny steps like wearing make up, stepping outside her doorstep and I was by her side along the way, feeling prouder at every new experience! The beginning was pretty slow, which was the only downside for me. I was alone with her thoughts, lost in her stream of consciousness and while it was intense and twisted and so dark that I actually felt my heart heavy in my chest, there were no interaction with other characters. Plus, to keep what happened to her a mistery, Chloe kept referring to what happend to her as "what happened to her" or "before" versus what she was feeling "now", what she was thinking "now", what she was doing "now". Meaning, the writing style felt a bit too repetitive. But after the first chapters, the story picked up pace and, like a blossoming flower, it became filled with action and suspense but also adorkable moments: I don't know how the author managed it, but as damaged as Chloe was, she was still a very relatable character and she could be quirky and fun when she wanted! I found myself holding my breath at the edge of my seat as well as laughing out loud at her jokes. But that's not it. This book would be perfect for a bookclub. It is one of those thought-provoking stories that has so much to offer when it comes to discussing complicated topics. Chloe's father sacrificed lives to take notes but he wanted to do some good, wanted to help and save other lives keeping other soldiers from going to war. But was he intitled to play God? Where do you draw the line between right and wrong? When do you stop being a genious scientist working for people's wellfare and become a mad scientist so lost in what he's doing that he can't see the cost of his experiments? I found this and so much more. I didn't know when I started this book, but there's actually going to be a sequel, which makes me so glad because the ending was not an ending I would have been okay with. Too many unanswered questions for my tastes and I cannot wait what this author will do next! I read this book in one afternoon, I was glued to it. It was an amazing read. It starts off with Chloe and her father leaving their old house in the middle of the night, furtively heading for a new life. You get the feeling they are running from something, running for their lives. As her father drives, Chloe is covered with a blanket in the back, you get the impression she is ill, she seems cold, something is just not right with her. As they hurriedly arrive at their new house (their new life too i I read this book in one afternoon, I was glued to it. It was an amazing read. As they hurriedly arrive at their new house (their new life too it seems), her father hurries around closing curtains, shutting out the world. What is he shutting out? Well dear reader, they have a secret. Chloe is the sole survivor of a tragic car accident that left her mother dead. Survivor I'm not sure if that is right word as technically she isn't really alive. That's right, she is a little bit on the dead side but yet she eats, she sleeps, she takes a concoction of medicines her mad scientist father makes her take to stay "alive". He is actually trying his best to make her "better", in fact if it wasn't for him she would be very dead. He was a scientist for the government and during his time there he worked on some pretty sketchy projects, Chloe has become his test subject as her being alive has put her in the sights of the government and they want her. So much more goes on this book, Zoe horribly scarred from the accident, struggles to look "normal", she pleads with her father to lead a normal life and slowly he lets her get more free reign. She starts school at a posh boarding school as a day student, hiding her condition very well she comes across the schools own mean girls and starts to get that normal life she wants, she even meets a boy. But she should be watching out more, she should be careful, because you never know when you need to run again. In a nutshell, if you like young adult books then read this, if you like zombie books then read this and every kind of book in between you need to read this. I loved it, Chloe does come across as a stubborn teenager many times but considering all that she gone through she does cope well. This book will also make you hungry, especially for bacon, for my dinner that night I had to have bacon sandwiches, I had a total craving. The ending of this book tells me there will be more, I hope there will be more as I don't think Chloe's story is over. Under My Skin is a book I’d had my eye on for a while – it sounded super intriguing and unlike anything I normally read. I’m excited to say that this book lived up to my every expectation. I was engrossed, too engrossed to put this book down or to speak to anybody or move or even breathe. The story is all-consuming and fascinating and heart-wrenching. So good. Chloe would love nothing more than to be your average teenage girl. She feels normal teenage girl things – the pains of growing up and all the various feelings and moods that come with it. But she isn’t that typical teenage girl – under the surface there’s a lot of startling depths to her character – and she resents that she doesn’t have to chance to live the straight-forward life. Chloe was involved in a tragic car accident which killed her mother but her kind-of crazy, scientist dad provides Chloe with survival, though surviving is putting it loosely since she’s barely existing at all. I was intrigued by the relationship between Chloe and her father. From the beginning, he seemed very protective, suffocatingly so, and I couldn’t help but wonder what had led him to become so obsessive and possessive. Chloe tried her hardest to work on her father, to gradually pull pieces of her life back together. Seeing her step-by-step return to school was quite powerful and moving as I wondered how they would take her character and if it was possible for her to ever feel accepted and not so alone. When we first meet Chloe, there seems to be some sort of shame surrounding her character. We don’t get to learn much initially as it is all built in to blow us away later on but from the opening pages, I was desperate to learn more. Why did she have to be so shut away? Why is she being isolated? Why have they moved? Why isn’t she allowed to live a normal life? This book brought with it so many questions and I just couldn’t get enough of it. I liked the contrast between all the harsh, scary issues that came with Chloe’s life up against standard teenage things like worries about schools and boys. The character of Chloe was so beautifully explored by the author and she’s one of those characters I found impossible not to be rooting for, even at the beginning when it’s all a mystery and I wasn’t sure quite what to think of her. Under My Skin is one of those novels I want everyone to read. It’s so different, so special in its own right. It’s something very different in the Young Adult market right now and Zoe deserves to have her book read and appreciated. I know I felt like it got better and better as the story developed and I was virtually gripping on to my Kindle like my life depended on it, biting my nails as the tension racked up and all the secrets and truths unfolded. Every little thing we learnt about Chloe’s story had me gripped and when we got to discover more, I was like a kid at Christmas, desperately unwrapping at a manic pace to get more and more out of this story. Under My Skin is a breathtakingly good, fresh and modern twist on Frankenstein and there are so many different themes and genres blended into one, here, it’s very impressive. Just don’t expect to be putting this book down in a hurry. Who needs sleep anyway? WARNING after you pick up this book and begin reading an unknown entity will not allow you to put the book down until the task is fully completed. If you finish the book unscathed as I have, you will be astounded by how much fun an experience you just had. Beware to all who do not read horror Do Not Run from this book it is not truly grotesque horror - more like old school sci-fi. Yes, the plot is unusual and bizarre yet also a bit mournful due to the sympathy I feel for what Chloe is enduring including being forced to be put through a hellish experience. I felt a bond with Chloe over our mutual love of books, but not the way she devours meat that was the only part that grossed me out. The prose is impeccable with superb creative wording and sentence structure. The author was full on with the mental capacity of a teenager creating remarkable characters. I loved the cool British wording & slang. This read has some foolproof twists except for one situation that is predictable. Zoe Markham, you know what part I am writing about the black man is so obvious why? Also are the schools in Britain all that strange & demented (JOKE)? I am beyond overjoyed that there is going to be a follow-up to this book! Oh my goodness, what a book! It is just past 4 in the morning as I sit down to write this, having just reached the brilliantly crafted conclusion. This novel is special, breathtaking and utterly compulsive. Chloe is a character unlike any other. Yes, she's a teenager - no shortage of those in your typical YA; Yes, she has mood swings and is stroppy; Yes, she doesn't get on with her father. But Chloe is no ordinary teenager. She is, however, a fantastically complex character who I fell for in a big way. She is a fighter and a believer (not a belieber, thank goodness!) in humanity. This book hooked me from the outset, before flinging me along on Chloe's journey to finding herself. It was emotional - touching, raw and unthinkable. Fans of YA fiction will adore this, whether they are the target audience or adults. It's YA fiction with an edge. I'll be keeping a close eye on Zoe Markham - she's one to watch! This was a great modern retelling of Frankenstein that details the life of one brought back from the dead. Normal teenage experiences/dramas are magnified by 10 for poor Chloe as she struggles with keeping her secret and reconciling the truth of what she has become. 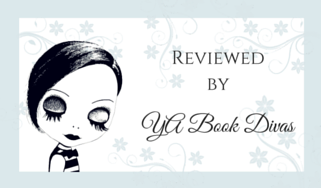 Under My Skin was a thrilling edge of your seat page turner that I definitely recommend! Full review to come but for now? Read this book! If you're at all a fan of anything YA, Gothic and/or Frankenstein then you will love the story of Chloe. Started reading this at 12.15am and didn't put it down until I was finished. Chloe is a brilliant main character, she's kind, compassionate and clever but not annoyingly so - she's having to start her life again and in hiding after almost dying in a car crash, she has to struggle between the dangers that await her outside her house and the crippling loneliness of total isolation. Above all, she's a teenager so she has to deal with all the usual frustrations and insecurities, as This book is a fresh take on Frankenstein, if the monster had been a 21st century teenage girl. Chloe is a brilliant main character, she's kind, compassionate and clever but not annoyingly so - she's having to start her life again and in hiding after almost dying in a car crash, she has to struggle between the dangers that await her outside her house and the crippling loneliness of total isolation. Above all, she's a teenager so she has to deal with all the usual frustrations and insecurities, as well as some extra-special ones. Markham's Under My Skin is a retelling in its own way of Frankenstein. It is a psychological piece with lashings of science fiction, which makes you question what does it mean to be alive. And by alive I don't just mean breathing, I mean feeling the sun on your face without fear of recrimination, to not be in isolation, a prison of both body and mind. If you enjoyed white lies, then you will love under my skin. this review is originally posted at: the Blacksheep Project. I received this book from Xpresso Book Tours in exchange for an honest review. I have no idea how to talk about the greatness of this book. I think that my words won't give it justice but I'll try. I'll try to tell you why it's so good. There's a life changing accident. Don't we all find it interesting when there's a life changing event? Believe me, I was intrigued by the blurb itself. A car cr this review is originally posted at: the Blacksheep Project. I received this book from Xpresso Book Tours in exchange for an honest review. Don't we all find it interesting when there's a life changing event? Believe me, I was intrigued by the blurb itself. A car crash, a dead mother, a lifeless father, and Chloe? What's with her? This book kept me intrigued until it was revealed early in the story. It's very interesting, believe me. It's the driving force of the entire story. It kept Chloe paranoid, scared, and other emotions in one. I know, I know. You're like, 'what? Czai? Enjoying school drama?'. Let's talk about Markham's incorporation of school drama in this crazily amazing novel. Markham used school drama to make Chloe feel vulnerable, to remind the readers that 'oh hey, Chloe's just a teenager who wants to socialize and fall in love'. There are wrong decisions, yes. But they're there for reasons: (1) to move the story into where it's suppose to go (into that crazy and thrilling ending), and (2) to develop Chloe (that you will extremely come to appreciate in the end). This school drama didn't annoy me. It didn't made me mad at Chloe. She tries to justify her decisions. The results were plainly there and obviously will follow. I was just there interested to see how things will go, how they will happen, and how this story will end. Did I also mention that there's a bit of romance here? I like it. Really. At times I swoon and totally root for Chloe and Daz. I mean, they just seem cute together and Daz seems really adorable. There are points when I can't predict it. You know those moments when books throw a twist at the climax? This is NOTHING like it! At some point, you predict what's going to happen, that there'll be betrayal or what. But Under My Skin kept me guessing. At first I was curious at where the story will go, the blurb barely gave me anything, when all was revealed and done, I was curious at how things will proceed from there on, when a school was introduced, I was curious at how it will wrap up and end. This book kept me reading until its last page! Chloe's voice is a combination of loneliness and longing and teenage curiosity. With Chloe's unfortunate accident, the normal teenage life was taken away from her. Forever. Her father makes up for it though and it may not completely make her 'normal', she still tries to. Chloe's a very commendable girl. She's strong and brave in her own way. It's an ending that kept me wanting for more! The climax was completely breathtaking. It's a survival - running for their (Chloe and her father's) lives. And Chloe's bravery was completely tested. It was an all of nothing run and I just had to read through all of it in one go. This book is such an amazing read, not only is it an original twist on a well known and loved genre but it explores the harrowing emotions of loss, heartbreak, pain, suffocation, restriction, control, trust and love. Zoe Markham has brought an historic classic to life injecting it with everyday surroundings, real relationships, trust issues, isolation and pushed it bang smack in our line of sight with a bright yellow book cover and a cracking font that jumps away from the page. I do love a good This book is such an amazing read, not only is it an original twist on a well known and loved genre but it explores the harrowing emotions of loss, heartbreak, pain, suffocation, restriction, control, trust and love. Zoe Markham has brought an historic classic to life injecting it with everyday surroundings, real relationships, trust issues, isolation and pushed it bang smack in our line of sight with a bright yellow book cover and a cracking font that jumps away from the page. I do love a good book cover. The intrigue and suspense after the prologue and around the first few chapters kept me riveted, the more I read the more I needed to know. I sat on the fence and watched as both the main character Chloe and her father battled it out for Chloe's freedom, how he sacrificed everything for his only daughter wanting the best life for her as she, Chloe felt further isolated and unhappy hidden away from the world. It took me a while to envisage what Chloe would look like because even at the outset we knew her story it just took me a while to comprehend, even though she was 'different' and had her 'quirks' she was still a raging hormonal adolescent teenager underneath. The way the relationship between father and daughter is depicted is beautifully done, with detail and intricacy of minuet feelings and realistic arguments. We see Chloe struggle and not understand, we watch as she pushes and rebels and eventually how her father relents allowing more trust whilst knowing he was always right. He was the most rational of the two, torn between doing the right thing by his daughter and the right thing for his family. The relationship played out to the reader is a genuine one with feeling and depth. The book consists a lot of just the two of them and how they interact together, which I must say I found refreshing and enjoyed. Some of the characters are nasty, mean spirited, selfish and harsh. Teenagers at the best of times are cruel and gruesome but involve a heap of money and a close guarded secret and the world is their oyster, I found reading about some characters hard going because of my instant dislike and wariness towards them. I always want a happy ending, I am a true romantic and a sucker for a warm fuzzy feeling post book. This never came with such feeling and the latter part of the book filled me with anticipation and what can only be described as dread. I dreamt of Chloe and her struggles, she was on my mind throughout the day, I became consumed with her story for freedom and wanted her to be given that opportunity to be that normal teenager, albeit, as the reader I knew it was not possible but a girl can dream and that was exactly what both Chloe and myself did. It took me a while to read, the content was heavy, engaging but emotional, draining almost and I found at times affected my mood. Markham being a talented author to be able to evoke such feeling and emotion on many levels. I didnt see the ending coming, I hadn't a clue, it left me questioning 'but what now?' also pulling my heart strings yet gave me the satisfaction she was loved, her family were proud. I’ve literally just finished this book minutes ago and I just had to get the thoughts out of my head and into my review about it while they’re still coherent. I’m thrilled to be reviewing this book as part of the tour that I’m also thrilled to be organising for Zoe. Under My Skin is a modern reworking of the old horror story, Frankenstein. Our “monster” is teenage Chloe who’s dad brought her back from a tragic accident that killed both her and her mother. However, Chloe isn’t who or what she use I’ve literally just finished this book minutes ago and I just had to get the thoughts out of my head and into my review about it while they’re still coherent. I’m thrilled to be reviewing this book as part of the tour that I’m also thrilled to be organising for Zoe. Under My Skin is a modern reworking of the old horror story, Frankenstein. Our “monster” is teenage Chloe who’s dad brought her back from a tragic accident that killed both her and her mother. However, Chloe isn’t who or what she used to be and her desperate struggles to get a “normal” life again may all amount to nothing. Take an ordinary teenager. Irritable. Moody. Anxious. Thinking about lads and the general trivialities of life, and yet, one teenager has less in common with others her age. Chloe is a unique individual, one the government would kill to their hands on. Meet Chloe Jones, a.k.a. Chloe Gardner, who, with not only a change of identity, resembles someone else entirely, from what seems to be another lifetime ago. Following a fatal car accident in which her mother perished, Chloe and her scientist father Take an ordinary teenager. Irritable. Moody. Anxious. Thinking about lads and the general trivialities of life, and yet, one teenager has less in common with others her age. Chloe is a unique individual, one the government would kill to their hands on. Following a fatal car accident in which her mother perished, Chloe and her scientist father are in hiding. He’s constantly striving to keep her alive and to do that he must keep her hidden from the world. In spite of her unusual circumstances, and chronic mental and physical pain, Chloe, being a typical teenager, has other ideas and craves the world outside the ‘prison’ her father has confined her to – a remote house they rent off the beaten track. Little does she know, the isolation is for her own good in more ways than one. The threat of the world outside could easily become a race to survive. Her father is constantly looking over his shoulder, whilst trying to make life as ‘normal’ as possible. But what is normal anymore? And who exactly are the monsters hunting them both? It’s often difficult to separate a monster from the person standing behind you in a queue – sometimes, they’re much closer than you think, until you just don’t know who to trust anymore. Under My Skin is an edgy, dark story of how we are perceived to those around us. The possibility of being different and how that affects our relationships is brought stunningly to the fore. It’s a gripping tale of isolation, friendship, and learning to accept yourself for you who really are. It’s told with honesty, from the point of view of a vulnerable girl who will question her existence every single day. And it raises the question: how do you expect anyone to love you, when you can’t love yourself? I read and enjoyed White Lies by Zoe Markham earlier this year so was really excited when she offered me this review copy. I’m a big horror fan and couldn’t wait to get stuck in. Under My Skin is like a modern version of Frankenstein, which I have to admit, I haven’t read, but I know the story generally (who doesn’t?!) It’s quite a slow burner and not really the make you jump or afraid to sleep at night kind of horror either. This is more of a body horror, with a big focus on how Chloe feels about her new predicament and the effects on her body – eating copious amounts of meat to fuel her, worrying that she must smell like death etc. I loved that a lot of the focus was really on every day life and Chloe trying to fit in and regain what she had lost. It may be hard to understand at first, and in the beginning I was on her dad’s side: when there’s so much at stake and you’ve risked so much, why would you throw it away by being careless or for little whims like going to the library. But the more the book went on, the more I agreed with Chloe as she tried to get back to normal. Her dad may have bought her back to life, but what’s the point of being alive if you’re not living a life? With her stuck in the house, miserable and isolated, it felt like it would have been a waste of the second chance she’d been given. The science stuff was played nicely too. There’s was enough detail to explain the events, without going into it so much that it got too technical or unbelievable. I also loved that for a lot of the beginning, Chloe didn’t overtly say what had happened to her; there were just lots of clues. As I’d gone into it not really knowing what it was about, I liked being able to work it out from the hints she dropped. Under My Skin is the story of Chloe, a seventeen year old with a secret. She is different from other girls her age and it is this difference that means that she lives hidden in the shadows of a regular life. She doesn’t go to school, have a boyfriend or heck even have any friends. She lives under the rules and guidance of her overprotective scientist of a father. Finally, after months of living a cloak and dagger life Chloe convinces her father to allow her to go back to school. However, when thi Under My Skin is the story of Chloe, a seventeen year old with a secret. She is different from other girls her age and it is this difference that means that she lives hidden in the shadows of a regular life. She doesn’t go to school, have a boyfriend or heck even have any friends. She lives under the rules and guidance of her overprotective scientist of a father. Finally, after months of living a cloak and dagger life Chloe convinces her father to allow her to go back to school. However, when things start to go awry for Chloe she has to concede that maybe her father was right to be worried. So Under My Skin could be described as a modern day Frankenstein story. It has elements of fantasy and science fiction blended with YA fiction. You cannot help but feel sorry for Chloe who is almost suffocating under her father’s almost militant regime. You spend the majority of the book thinking that he is the bad guy, stifling her every move. Yet you also become suspicious of every other character in the book. His caution wears off on you. It is the heightened levels of suspicion that makes Under My Skin a compelling read. My one bug bear with the book is that initially the pacing was too slow. It takes five chapters before I felt like anything had happened. Whilst I understand that was to build mystery and intrigue I did find myself asking ‘where is this going?’ and ‘what is the point?’ Under My Skin does get so much better so please stick with it. Once those first five chapters are out of the way the rest of the book is a high speed dramarama. Under My Skin by Zoe Markham is available now. I loved this book! It was unlike anything I have ever read. It was creative, fascinating, enticingly strange and weird and quite interesting. It held my attention, kept me reading and I couldn't put it down. One of the best things about this book? Chloe is a book lover! Yes! There is nothing better than reading about a character who loves books as much as I do. This instantly makes me connect with the character. Smart writing! The writing flows effortlessly. Crafty and clever writing that keeps I loved this book! It was unlike anything I have ever read. It was creative, fascinating, enticingly strange and weird and quite interesting. It held my attention, kept me reading and I couldn't put it down. One of the best things about this book? Chloe is a book lover! Yes! There is nothing better than reading about a character who loves books as much as I do. This instantly makes me connect with the character. Smart writing! The writing flows effortlessly. Crafty and clever writing that keeps you hooked. The story was easy to follow and always left things a bit mysterious. This story didn't give everything away right in the beginning. It left you guessing and made you want to keep reading. It would reveal things slowly instead of all at once. The descriptive writing was wonderful. Very vivid detail that painted a clear picture. It was easy to picture everything in the book. Most of the story focuses on Chloe and is told from her perspective. Chloe is a very easy character to like. She knows what she wants and she goes for it. She doesn't let anything stop her. She is trying to fit in and lead a normal life while dealing with being different than everyone else. She does a good job of hiding her secret. This story just got better and bettter with each and every page. It was never dull of boring. Full of creepiness, a little romance and some humor. If you are looking for something unique and quite differen't than most YA novels out there I would recommend this book. It will not disappoint. Chloe Gardner is like any other teenager. She worries about her appearance, she gets bored, she’s crazy about a boy, and she has to deal with the ‘mean girls’ at school. There’s just one thing that makes Chloe different from other girls: she died in an accident and her father brought her back to life…Zoë Markham’s contemporary take on Frankenstein is well-paced, unfolding fairly slowly, gradually introducing the circumstances that led to Chloe’s new existence as one of the undead, before bringin Chloe Gardner is like any other teenager. She worries about her appearance, she gets bored, she’s crazy about a boy, and she has to deal with the ‘mean girls’ at school. There’s just one thing that makes Chloe different from other girls: she died in an accident and her father brought her back to life…Zoë Markham’s contemporary take on Frankenstein is well-paced, unfolding fairly slowly, gradually introducing the circumstances that led to Chloe’s new existence as one of the undead, before bringing her protagonist out into the more typically-teenage world of school and boys, plus the ever-menacing spectre of the organisation her scientist father used to work for. Chloe is a an very likeable character: she loves to read, losing herself in books while she is cut off from the outside world, and even when she does go out into the world she is drawn to libraries (her ‘oasis’). She is someone I felt I would really like in ‘real life’ – self-aware and clever, sometimes frustrated with her father but also forgiving. She has an often dark but wry sense of humour, even in moments of self pity. Although the plot is fast-paced and gripping (particularly in the latter part of the book), I really liked the treatment of loss and bereavement and the sense of mortality (particularly heightened when you are one of the living dead as one might expect). It explores the idea that a loved one who has died would have wanted you to live your life to the full even though they had lost theirs. Chloe is such a personable character, telling her story from the first person perspective it is like getting a sneak peek into her diary at times. Whilst she deals with life after death, constant pain, I’m a huge fan of this genre. I love dark, horror and paranormal novels and was intrigued to see how Zoë Markham had reworked one of my favourite classics for a modern young adult audience and I wasn’t disappointed. She has produced an absolute gem that you don’t have to be a young adult to enjoy! I came to this story with no pre-conceptions and no expectations. The blurb was intriguing. The author was new to me. I thought I'd give it a go. From the Prologue to the final paragraph, the author succeeded in exploring the insecurities and hangups which are prevalent in most teenagers' lives. Over protective parent? Check. Body image issues? Check. Difficulty making friends at a new school? Also check. But this story is so much more than that. This is a tale, which, despite Chloe I came to this story with no pre-conceptions and no expectations. The blurb was intriguing. The author was new to me. I thought I'd give it a go. This is a tale, which, despite Chloe's particular situation, will light the spark of recognition in many of us. After all, underneath it all, don't we all just want to be liked by our friends and loved by our family and that special someone? This cleverly imagined journey of discovery of self, and others is a real treat. The manner in which the tempo of the writing changes as the story careens towards its climax is very clever. In fact, the pacing throughout is excellent, with characters who are engaging and realistic. An enjoyable read, and with an ending which is fitting to the story. Wow what a book! I didn't read the synopsis or anything else related to the book prior to picking it up. In the beginning I was a little confused as to what was going on and what was wrong with the main character. Once I knew the book really hooked me in and the pages turned quickly. I could feel for the main character. I could understand her loneliness and desire to I was asked for an honest review free of persuasion from the author or anyone else affiliated with this book. Wow what a book! I didn't read the synopsis or anything else related to the book prior to picking it up. In the beginning I was a little confused as to what was going on and what was wrong with the main character. Once I knew the book really hooked me in and the pages turned quickly. I could feel for the main character. I could understand her loneliness and desire to be normal. Chloe has been spending the last few months recovering from a fatal accident. She is trying her hardest to get back to normal. But how can things ever be normal again. When Chloe and her father moves to a new town for a new start, Chloe convinces her dad to let her go back to school. Things are starting to feel normal again. Can it really be that easy? What happens when Chloe and her father begins to let their guard down? I have to say that YA is not a genre that has ever interested me but I am acquainted with the author and I was obviously going to support her by reading her novel. I'm so glad that I did because I really enjoyed Under My Skin. Zoe develops her main character, Chloe, really well, from a broken girl to a young woman who is strong and self-reliant and perfectly capable of fighting when she's cornered. Go Chlo! And the other characters were so realistic and well fleshed-out. I wasn't always taken-in b I have to say that YA is not a genre that has ever interested me but I am acquainted with the author and I was obviously going to support her by reading her novel. I wasn't always taken-in by some of them and that made me want to shake Chloe and say 'watch out girl', but that added to the mounting excitement and I did get a big surprise in the end, which is always what I look for in a good book! I had no idea what kind of novel this was when I started reading. Contemporary? Sci-Fi? Dystopia? Fantasy? The blurb really didn't give away much, and that was intriguing enough to lure me into the story. I'm not going to spoil anything for readers who head into this book the same way as me, so I'll leave it to this: it was a well-written story with some unexpected twists, though it also fell into a few overdone directions with the plot, and at least two characters were too obvious in their sinis I had no idea what kind of novel this was when I started reading. Contemporary? Sci-Fi? Dystopia? Fantasy? The blurb really didn't give away much, and that was intriguing enough to lure me into the story. A beautiful read for anyone with the patience and imagination to invest themselves in something special. One you won't forget easy.